Always people make effort to get more than they spend. This articulation will prove helpful for them who wishes do more thing with one tool of MBOX to PST converter who not only want to convert mail from one format to another merely but much more. It seems quite easy to convert another mail client to Outlook by utilizing MBOX format, naively available in the most common mailbox outlay in the IT market, but it’s notable fact if you want to execute Exportation of Thunderbird to Outlook, Importation of Eudora to Outlook or wanted to transfer Apple Mail or Mozilla mail to Outlook, or Sea-monkey, Spice-bird, it can’t assist you relevant. You have to look for a quality and feature able MBOX to PST converter tool which gives you desired outcome. So, here without wasting a moment more, you will be known which will suit your requirement and can target your need. You can utilize our both services means you can try Shoviv MBOX to PST converter software for free to check out it high-end capability and relevancy and then get a license for furthermore. Shoviv MBOX to PST converter software give you best performance outcome while you execution of conversion from MBOX to variants of outlay such as Outlook PST, MSG, EML. Shoviv MBOX to PST converter is not going to put down it service after conversion but help you out in the crucial execution of exportation from MBOX to Live Exchange Server and Office 365 mailboxes. 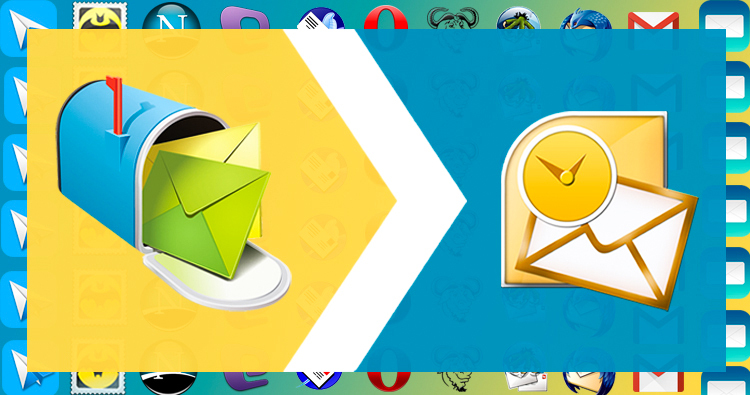 This fully features able MBOX to PST converter software work with more than 19 email clients such as MBOX file format Entourage, Thunderbird, Spicebird, Eudora, Seamonkey, Mulberry, much more left. The above mention features are making it special and helpful for the conversion of MBOX to PST, but I think it is not expressing its helpfulness and lucrative-ness as it is for the users. So, have a more glance to know more about the Shoviv MBOX to PST converter. This software permit you to export multiple MBOX format file without doing addition subtraction. You can export MBOX format without changing it attributes little. It offers you downtime and swift transfer of MBOX to PST, Live Exchange and Office 365. The software supports more than 19 in the number of email clients without flaws such as Pocomail, Operamail, Eudora, Thunderbird, Seamonkey, Spicebird, Mulberry Entourage, WebMail, and much more. for MBOX file support. The converter not only do the execution of conversion from MBOX to PST files but also do the execution of exportation of MBOX files into different file Outlays like MSG and EML. The software also gives allowance to the user to do migration execution of MBOX Format files into Office 365 as well as into Live Exchange Server mailboxes. This is one of the best features what I like most about the converter that it gives you the right to export with our desired choice. The exportation key features give the users rights to export MBOX files in option like PST, EML, MSG, Exchange Server, Office365 and Outlook Profile as per own desire. It makes you 100% sure, that you are doing best will get the best outcome with its feature that you can check that before shifting MBOX as preview option exists into the Shoviv MBOX to PST Converter Software. This also helps the Apple Mac mail user to export in Outlook PST outlay, the execution of Apple Mac Mail to Outlook PST conversion is going successfully with its assistance. Instead of this it also allows the Apple Mac emails, user, to export in Office 365 and Live Server mailboxes. The software doesn’t restrict nor makes issues for any particular type of Outlook PST file while the users convert MBOX to PST outlay. The software allows you the same migration and the same look as well as in ANSI PST without losing its lucrative-ness. The converter introduces with best feature and supportability, as it is supported by the variants of versions of Windows Software, so it is notable fact and helpful for not fewer of the new version but the old version users too. Why should try Demo version and get paid one? Because you should get an idea of the Shoviv MBOX to PST converter and lucrative-ness while applying and operating it on your PC and handling execution with it. And you too should grasp how easy it is, you should try it once before buying the Paid version of MBOX to PST converter. Prime Reason to buy Paid Version. The Demo version has some limitation of 25 items per folder, so might it will not fulfill your entire need. Just buy a Paid Version for the best outcome and flawlessly execution without spending lots of precious time. End of chapter: Hope, you’ll get it fit for the execution of MBOX to PST conversion through the MBOX to PST converter, which fully applicable and useful in the other aspect of execution such as exportation.